New to ABCO U? Sign up HERE! 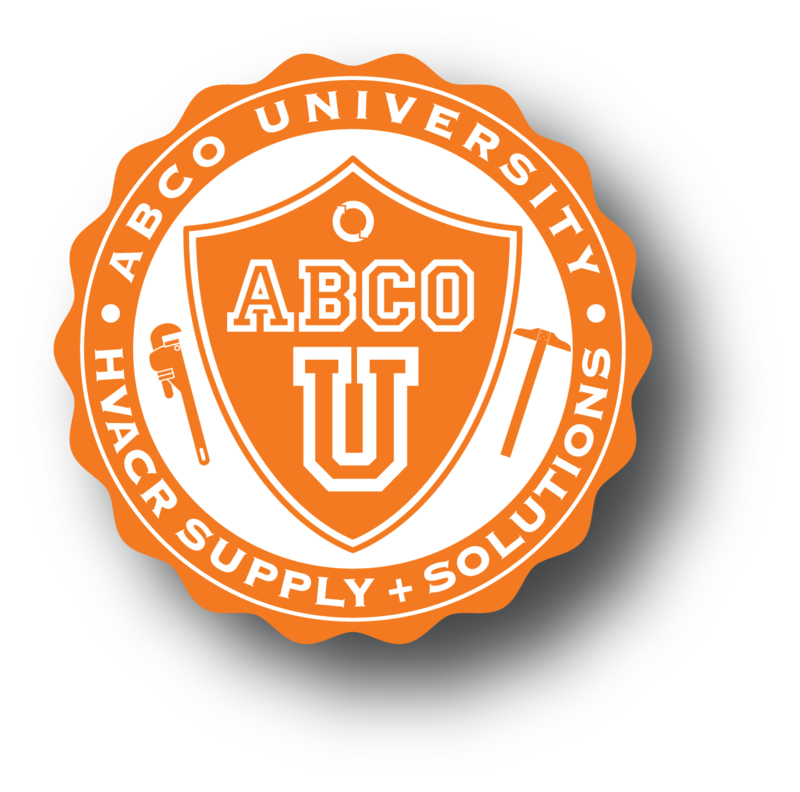 ABCO University offers comprehensive continuing education for the HVAC/R industry. Take advantage of our experience and knowledge with classes ranging from basic HVAC/R equipment servicing to advanced diagnostics and business development. Whether you’re looking to trouble-shoot a heat pump or need EPA credentials, or want to design multi-zone Mitsubishi Electric VRF systems, ABCO University will lead the way. ABCO University’s service and installation classes help you stay on top of new developments in the industry, and gain the knowledge you need to correctly install and repair new products from American Standard, Mitsubishi, Luxaire, Scotsman, Copeland and many more. Every HVAC or cold storage application is unique, and with our curriculum of system engineering and design courses, you’ll get the tools you need to ensure that you’re laying the groundwork for a successful installation. We share knowledge gained from years of experience to help you meet your customers’ needs—and maximize your profitability. Classes fill up quickly, so register today. Remember, the more you learn, the more you can earn. You must login to your account to register for classes. Create New Account Login Forgot Password? Main Site | Copyright 2016 ABCO. All rights reserved.